Prior to joining The Jockey Club’s management team, Gagliano served as executive vice president of Magna Entertainment Corporation’s Maryland racing operations, where he was responsible for the day-to-day operations of the Maryland Jockey Club. He also served as president, MEC OTB, and group vice president, MEC Northern Group. Before that, Gagliano served as executive vice president and general manager of Greenwood Racing Inc. and worked in various roles during a 10-year stint with the New Jersey Sports and Exposition Authority. 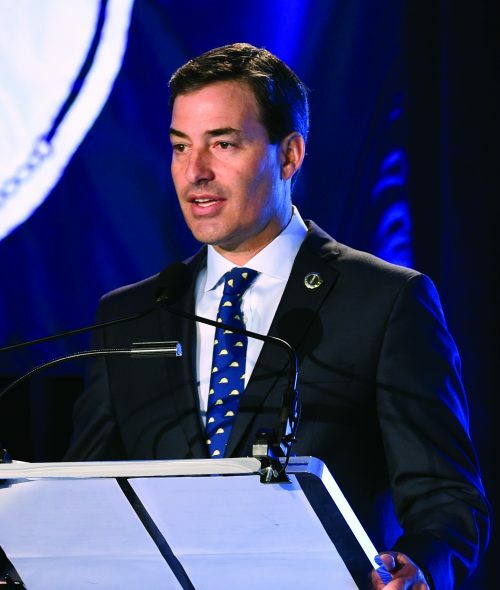 Since October 2010, Gagliano has served as vice chairman representing the Americas for the International Federation of Horseracing Authorities’ Executive Council. In January 2013, he was elected to the American Horse Council board of trustees, and in June 2015, he was elected vice chairman. Gagliano has a Bachelor of Arts degree in history from Providence College.